But now, the tides have turned. The article then goes on to say that Little Mix, the band that Perrie is involved with, wants to grow and expand next year, and they don’t want Malik to be a distraction. So, which story do you believe? 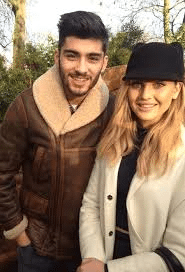 Are Malik and Edwards in a bumpy relationship, or are they happier than ever due to Zayn leaving One Direction? Leave your comments below!